Johnson Tsai is a premium service real-estate agent based in New York City. 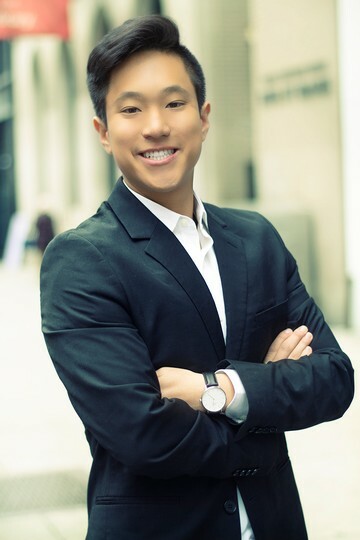 Tsai has lived in NYC for the past 5 years in areas including Lower East Side, Midtown, and Financial District, and he has a Bachelor of Arts in Economics and a minor in business from New York University. Highly communicative, intuitive, and charismatic, Tsai is happy to ensure his customers feel supported and acknowledged throughout the entire process. February 2019 by Karen C.
My roommate and I were trying to find an apartment to move into early-September and we were really not looking forward to the whole apartment hunting process. But working with Johnson Tsai made the entire experience so easy, efficient and stress-free. He has an amazing attitude and genuinely cares a lot about his clients. We found an apartment and processed all necessary paperwork within 3 days time. I''ve never worked with a realtor that helped us secure an apartment this fast! Johnson was so amazing from showing us a selection of apartments that fit our needs and wants, as well as consistently followed up with us on every detail during this process. I highly recommend working with Real NY and Johnson Tsai if you are looking for any type of apartment and a stress-free experience! !